Making an offer on your dream home can be tricky business. After searching the internet tirelessly, keypad worn to a ghostly shadow of its former self, eyes bloodshot from staring at the screen of infinite details depicting every possible home worth looking at, in the best possible light and carpal tunnel only one click away, your search is finally over. You have found the perfect home, now what? No more daily drive-byes or endless weekends and evenings spent following the Realtor from door to disappointing door, you have finally found it! It’s perfect, more than you could ask for…or is it? Alas, time to put pen to paper, make an offer and make a deal! Monty Hall, eat your heart out! Let the negotiations begin or come to a screeching halt, it can go either way and often does. “Buyers beware”, a cliché heard all too often that puts Buyers on the defensive, cultivating skepticism and distrust in Sellers and even Realtors there to guide them successfully through the transaction. It is true, Buyers should be knowledgeable about the purchase they are making and definitely do their due diligence, but I digress, this is an entirely different caution. A negotiation for a home should be handled delicately, tactfully and with a certain level of finesse. Finding the home is only the first step. During the offer process, many other variables come into play. Is your offer the only offer? Are you in competition with another, just as eager, Buyer? Does this home fit your budget? Anything can happen in this business and often does. Homes that sit on the market with no offers suddenly receive multiple offers and sell, only to bump off one woeful Buyer. Personalities collide, emotions run high and perceived minor requests can be misinterpreted and offensive. All too often, Buyers, in the process of trying to acquire a home, have all but alienated the Seller from their first attempt at an offer/communication. “Low Ball” offers and offers to purchase not only home but lifestyle, are never a great way to approach anyone selling their beloved home. Purchasing a home is just that. It is the real property that is for sale, the land and the attached home, not all of the personal items and fanfare that each one encompasses. Yes, you can imagine yourself there with those perfect bar stools, the furniture, fire pit, the ATV, ride on lawn tractor, pool table and accessories, antique car, all remaining firewood, deep freeze, bar fridge, patio furniture and even the dog, but at what cost? Adding personal belongings to an offer can be, and often is, insulting to the Seller, and you don’t want to insult the person whose home you are trying to buy for the best possible price. Add injury to insult and ask for the home to be professionally cleaned as part of the deal…ouch. These non real estate items can come at more of a premium than a bargain. Imagine the interest calculated on that bar fridge or pool table for the next 25 years. 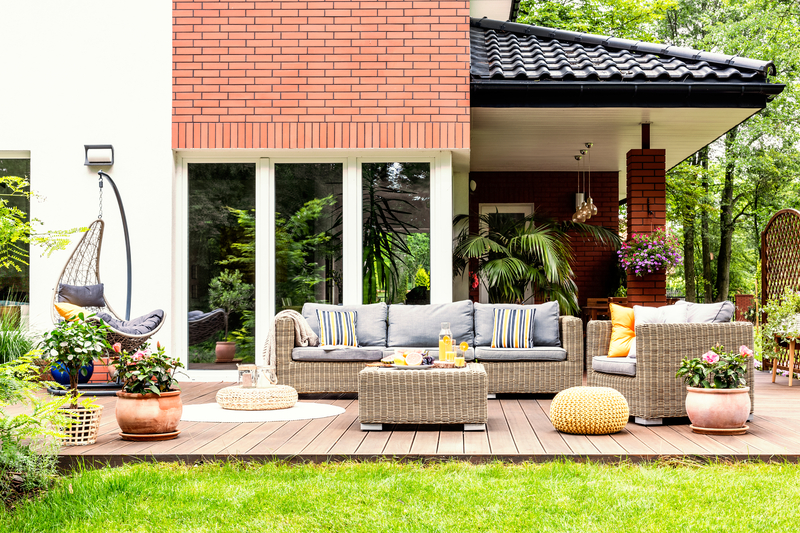 Furthermore, banks are not in the business of loaning mortgage funds for ATV’s, bar stools and fire pits, so beware, these inclusions could also hinder your financing objectives. There may be a few of you out there competing for just the right home, sometimes simultaneously. Don’t let a convoluted or questionably insulting offer get in the way of achieving your goals. Trust in your Realtor, keep your offers clean and put yourself in the Seller’s shoes before putting pen to paper. Your Realtor knows the protocol and etiquette required to help you achieve the best possible outcome for the best possible price.